M/Sgt. 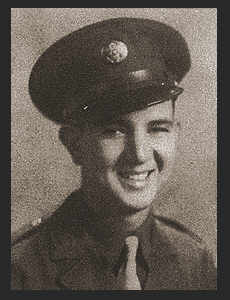 John E. Courtney, son of Mr. and Mrs. Fred Courtney, attended Frederick High School. Entered the Air Corps in Nov, 1939, trained in Randolph Field, Texas, Chantue Field, Ill; Lowry Field, Colo; served in S. America, N. Africa, England, Iceland, Dallas, Texas. Awarded Good Conduct Medal, Am. Defense Ribbon, ETO Ribbon with seven Battle Stars, Bronze Star.